Find the best foreclosure homes listings for sale — bank-owned, government (Fannie Mae, Freddie Mac, HUD, etc.) and others — in and near the Laton Ca 93242 area at Foreclosure.com. Get information on foreclosure homes for rent, how to buy foreclosures in Laton Ca 93242 and much more. 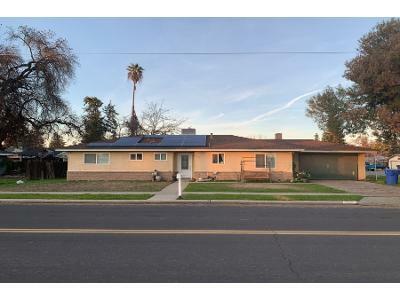 Save thousands at closing with home foreclosure listings in Laton Ca 93242 — up to 75% off market value! Laton is a census-designated place (CDP) in Fresno County, California, United States. The population was 1,824 at the 2010 census, up from 1,236 at the 2000 census. Laton is located 23 miles (37 km) south-southeast of Fresno, at an elevation of 259 feet (79 m). Laton's first post office opened in 1900, having been transferred from Lillis. The name honors Charles A. Laton, who owned the Rancho Laguna de Tache Mexican land grant. The 2010 United States Census reported that Laton had a population of 1,824. The population density was 941.5 people per square mile (363.5/km²). The racial makeup of Laton was 1,001 (54.9%) White, 4 (0.2%) African American, 13 (0.7%) Native American, 10 (0.5%) Asian, 0 (0.0%) Pacific Islander, 744 (40.8%) from other races, and 52 (2.9%) from two or more races. Hispanic or Latino of any race were 1,393 persons (76.4%). The Census reported that 1,824 people (100% of the population) lived in households, 0 (0%) lived in non-institutionalized group quarters, and 0 (0%) were institutionalized. There are currently 1 red-hot tax lien listings in Laton Ca 93242.